Sewing Is All About Being Concise! If you ask sewists what the most tedious task involved in sewing garments and other projects with a machine like the Juki HZL-355Z is, many will say it’s the measuring. By | 2019-02-06T07:36:18-05:00	April 24th, 2019|Categories: Juki Sewing Machines|Comments Off on Sewing Is All About Being Concise! By | 2019-02-06T07:36:19-05:00	April 22nd, 2019|Categories: Sewing Machines|Comments Off on Do You Stash or Trash Your Fabric? I’m Making A Patchwork Quilt – What Fabric Should I Use? Patchwork quilts are a favorite quilting design made for generations as a way to use up scraps of fabric that would otherwise go to waste. Sure, the quilts we make today with our Juki quilting machines are usually a little more planned; however, the basic idea is still the same. By | 2019-02-06T07:36:19-05:00	April 18th, 2019|Categories: Juki Quilting Machines|Comments Off on I’m Making A Patchwork Quilt – What Fabric Should I Use? By | 2019-02-06T07:36:20-05:00	April 17th, 2019|Categories: Sewing Machines|Comments Off on What Is This With Fashion Performance Fabrics? Skirt Silhouette Information – Part 2! When you want to wear something feminine but don’t want to go all out with a dress, a skirt is the next best thing. If you’re sewing skirts at home with a quality Juki sewing machine, there are so many silhouettes you can try. By | 2019-02-06T07:36:21-05:00	April 15th, 2019|Categories: Juki Sewing Machines|Comments Off on Skirt Silhouette Information – Part 2! By | 2019-02-06T07:36:21-05:00	April 11th, 2019|Categories: Sewing Machines|Comments Off on I Love Faux Fur – How Do I Use and Care For It? How To Care For These Top 4 Luxury Fabrics! A great thing about sewing garments at home using a quality Juki sewing machine is that you have the option to make anything you want using any fabric you like, including some more luxurious ones. 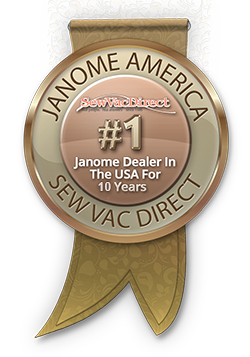 By | 2019-02-06T07:36:22-05:00	April 10th, 2019|Categories: Juki Sewing Machines|Comments Off on How To Care For These Top 4 Luxury Fabrics! By | 2019-02-06T07:36:23-05:00	April 8th, 2019|Categories: Sewing Machines|Comments Off on Sleeves and More Sleeves – Part 4! How Do I Make A Good Removable Collar? Removable shirt collars are a neat little accessory that can expand your wardrobe almost for free since you can use it when you want to dress up a plain shirt or blouse and it’s not that hard to make one with your Juki sewing machine. By | 2019-02-06T07:36:23-05:00	April 4th, 2019|Categories: Juki Sewing Machines|Comments Off on How Do I Make A Good Removable Collar? By | 2019-02-06T07:36:24-05:00	April 3rd, 2019|Categories: Sewing Machines|Comments Off on Skirt Silhouette Information – Part 1!